Shihlien ChemicalIndustrial Jiangsu Co (SCJ) was investedby Shihlien China Holding Ltd(SCH), a JV of Taiwan Glass group (TG), overseasinvestors and Mr. PS Lin who is pesident of TG. SCJ has chosen Huaian CityJiangsu province, a location rich in 130 billion tons salt mines, to build aUS＄1.3 billion salt chemical facility to manufacture soda ash and ammoniumchloride, with a capacity of one million tons per year each. At present, SCJ isalso undergoing research and development of sodium chloride suitable for biotech and medical use as well as alkalinedrinking water and so on. 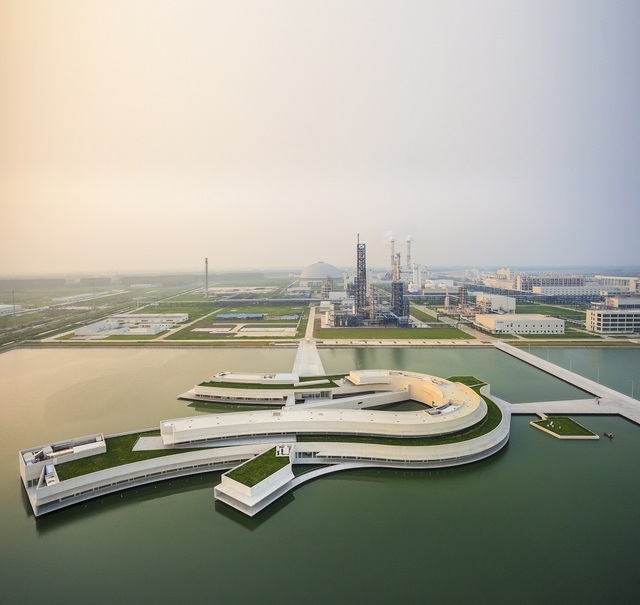 The plant located in Huaian Salt Chemical New MaterialsIndustrial Park, which enjoys a convenient transportation network of railways,waterways, and freeways. Of the one million ton soda ash produced annually, 80percent will be used by TG's operations and SCH's stockholders, the remainingwill then be sold to selected clients across Asia and delivered throughHuaian's superior transportation network. The plant heldits ground-breaking ceremony in September 2009 and has maintained full capacityproduction since November 2014. This plant will become benchmarks ininternational salt and soda ash industry .